Dr. Eng. Yannis Maniatis is a Rural and Surveying Engineer (National Technical University of Athens). He is an Assoc. Professor at University of Piraeus since 2002 and a Visiting Professor at the Institute of Economic Geography of University of Bonn (1995). 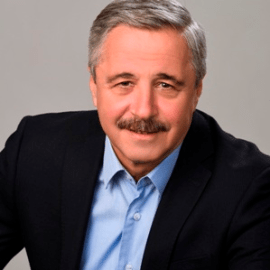 Dr. Maniatis was elected as a Member of the Greek Parliament for the prefecture of Argolida for the Panhellenic Socialist Movement (PASOK) for the first time in the 2004 elections and re-elected in 2007, 2009, May 2012, June 2012 and September 2015 elections. Main academic fields include: Geographic Information Systems (G.I.S. ), Energy and Transportation Policies and Systems, Environmental Management and Monitoring, Innovation Management. Dr. Maniatis has participated with more than two hundred (200) scientific papers and lectures in international congresses and scientific magazines.